I spent three days in Wales doing hiking. Amazing views. Freedom to walk through the countryside. No fences, no agressive dogs, just lovely sheeps!. 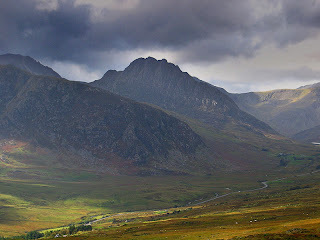 The second day I went from Capel Curig to Dolgarrog. I met a very nice old man that lived in Dolgarrog and we shared a great chat and walk. I hope your sister is okey George! My third day in Wales was in Llandudno (boring).